PORTLAND, Ore. – This spring, everything’s coming up cider! A celebration of the blossoming Northwest cider industry, the 4th annual Cider Rite of Spring will feature nearly 100 unique ciders served by 30 different cidermakers in a beautifully renovated historic event space. Cider Rite of Spring will take place March 25 from 12pm to 6pm at the The Evergreen PDX, located at 618 SE Alder St. The event is for ages 21 and up. 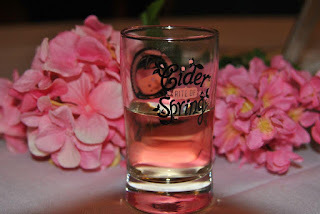 Lauded as the “Best Northwest Cider Festival” by SIP Northwest in 2015, Cider Rite of Spring offers tastings from ^5 Cider, 1859 Cider Co., 2 Towns Cider House, 7Bev Corp., Alter Ego Cider, Baird & Dewar Farmhouse, Bandon Rain, Bauman's Cider, Bull Run Cider, Cider Riot!, Dragon's Head Cider, Elk Horn Brewery & Cider House, Finnriver Farm & Cidery, Locust Cider, McMenamins Edgefield, New West Cider, Pear UP, Portland Cider Co., Red Tank Cider, Reverend Nat's Hard Cider, Runcible Cider Co., Schilling Cider, Seattle Cider Co., Snowdrift Cider Co., Spire Mountain Ciders, Square Mile Cider, Steelhead Cider, Swift Cider, Tieton Cider Works, Tumalo Cider Co., and Woodbox Cider. General Admission costs $25, which includes a tasting glass access to cider. VIP Admission cost $40 and includes a tasting glass plus access to the exclusive VIP lounge, featuring complementary cheese pairings by Whole Foods Market and one-on-one interaction with six renowned PNW cidermakers who will share special cider offerings. Tickets are available now at http://www.merctickets.com/events/40632995/cider-rite-of-spring. 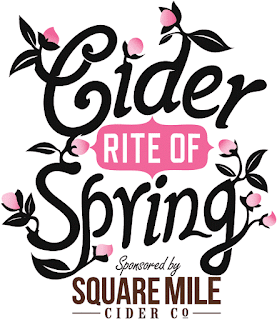 Cider Rite of Spring 2017 is presented by Square Mile Cider and supported by Valley Processing. For more information, visit Northwest Cider Association. About Northwest Cider AssociationFounded in 2010, the Northwest Cider Association (NWCA) brings cideries and cider lovers together to learn, experience and enjoy the Northwest cider culture. Representing more than 80 commercial cidermakers from throughout Washington, Oregon, Idaho, Montana and British Columbia, the group is dedicated to supporting, promoting and growing its thriving industry. NWCA hosts cider-themed events, including Cider Rite of Spring, Summer Cider Day, and Cider Weeks in Oregon, Washington and British Columbia. For more information, visit NWCider.com, or follow @nwcider on social media.